I came across this graphic on Twitter. 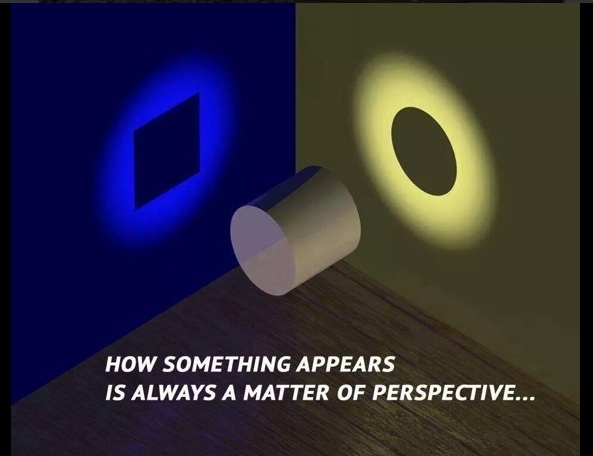 It shows the importance of perspective in how we understand things and see the world. An idea which was central to Nietzsche’s philosophy and I think plays a part in how some ketsudo puzzles are solved. You can use the spine text as a clue to the spiral text, or vice versa. I can’t credit the graphic because there was none on Twitter.